Between the pro shop and the glass doors leading to the rink area. 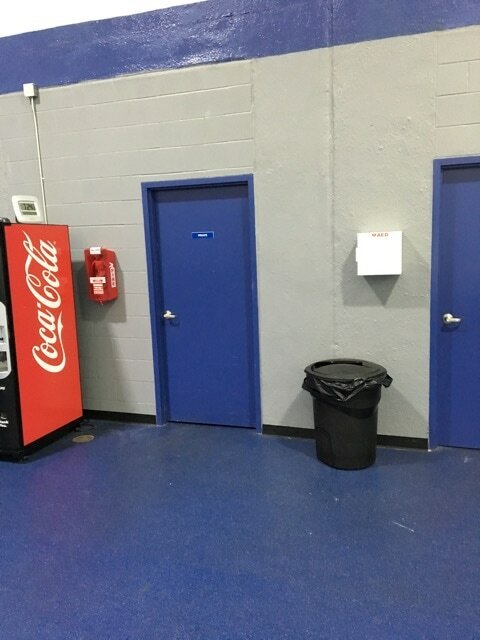 Between the rink office and the referees & coaches rooms to the left of the vending machines. 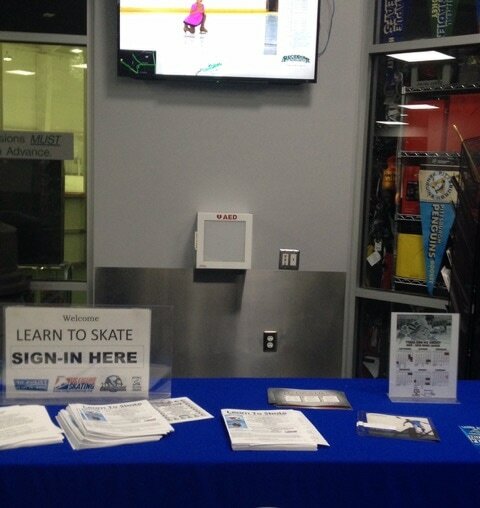 Rink A lobby, to the left of the pro shop. First Aid room, down the hallway between the restrooms and the dressing rooms.